The new, application specific filter elements of the Optimicron® Pulse product range are characterised by a special flow fatigue resistance in applications, exposed to extreme pulsations. An application, where pressure changes in the hydraulic system occur is for example, when cylinder pistons are moving or accumulators are filled. The frequency of the pressure fluctuations strongly varies depending on the application. In case of injection moulding machines the procedure of the clamping unit often leads to high pressure alternations with extremely high pulsing. The new HYDAC Optimicron® Pulse filter elements resist this dynamic stress. The special elastic materials of the filter mesh pack achieve a high durability of the filter element. 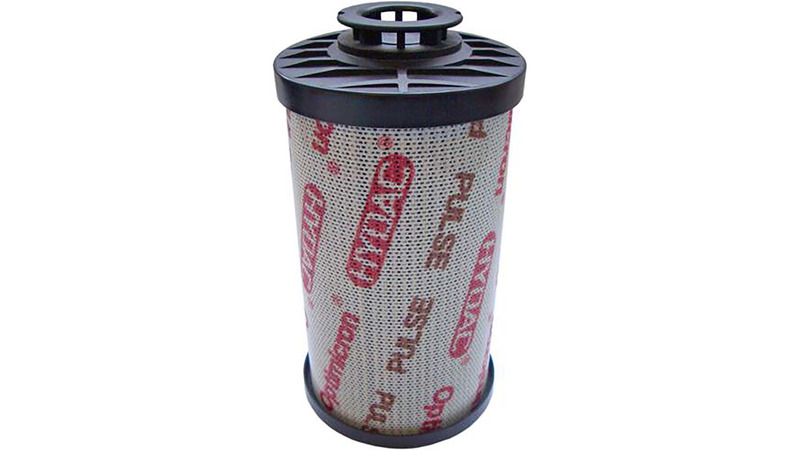 Fatigue breakages of the filter mesh pack and consequent dirt break through to the pure side can be avoided. The innovative HELIOS pleat geometry provides free cross section even with high flow and therefore a lower differential pressure. In addition Optimicron® Pulse filter elements contain the established Stat-Free® technology, which efficiently prevents electrostatic discharges in the hydraulic system. The innovative outer wrap of the filter elements enables a uniform flow of the fluid and provides an increased robustness.